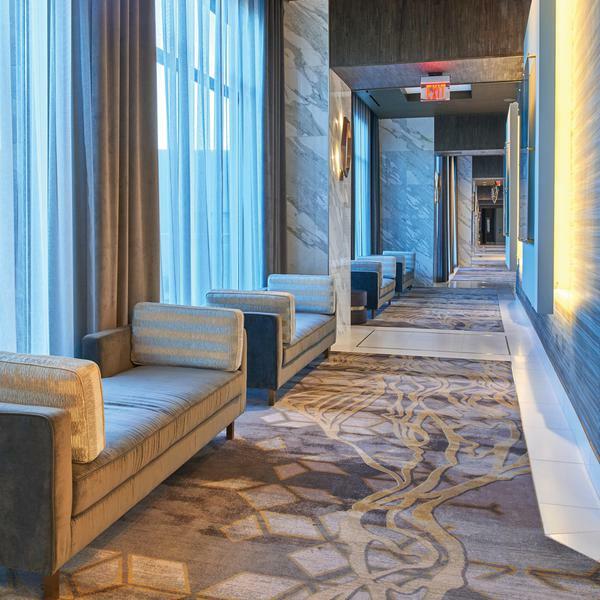 Brintons collaborated with IGroup Design on approximately 16,000 square yards of custom axminster carpets for three phases of renovations at the Viejas Casino and Resort in Alpine, CA. The recently completed Willows Hotel and Spa project is the exclusive third phase in a series of developments initiated eight years ago. The original design started with carved themed boulders conveying an overall rustic feel. Like a stone tumbling through a stream, each phase has further evolved the architecture in a focused approach – now revealing a sophisticated connection to the natural elements in a clean, elegantly detailed expression. The spa portion of the project informed the refinement of raw features, blending rough, textured stone to an elegant smooth lightness. 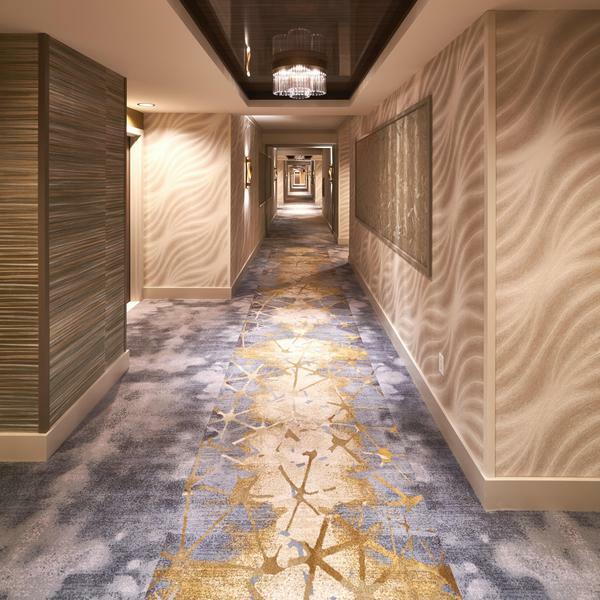 The layered geometrics of the concourse and corridor carpet patterns reflect other artisan detailing – light fixtures, fabric and wall-covering textures– all referencing organized patterns found in nature. The broken irregular form adds an artful organic facet to the overall impression. 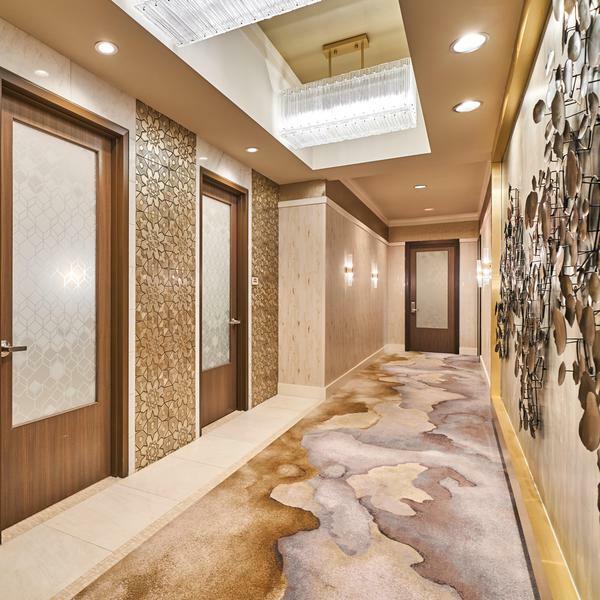 The spa and elevator lobby carpet mirrors other sculptural elements including the natural layering and balance of colors, shapes, and textures. Organic lines echo striations in the stone that blend between exterior and interior, reinforcing the holistic approach. IGroup Design was inspired by the surrounding Alpine valley, integrating nature with the abstract interpretation of the landscape – capturing both the larger valley topography and the smaller cellular patterns in leaves throughout various elements in the project. 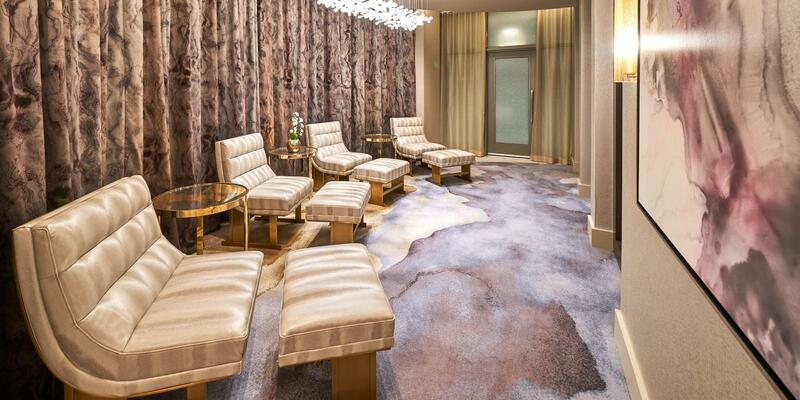 The juxtaposition of organic textures versus geometric meandering themes is consistent throughout the entire project. Geometric patterns weave a thread to the past while maintaining a sense of organic movement that catapults the space into the present. 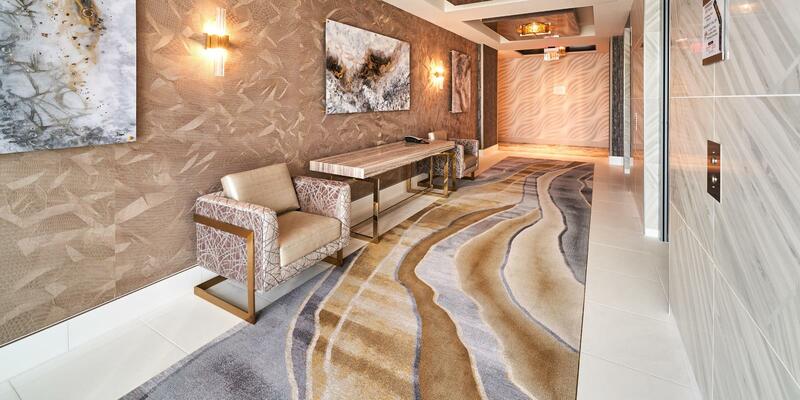 With five distinct carpet patterns throughout the project, the Brintons design team was so integral to the conceptual process. Direct contact with the senior designer through email, phone and meetings was both collaborative and painless – she really captured my many nuanced edits and requests to evolve the design. 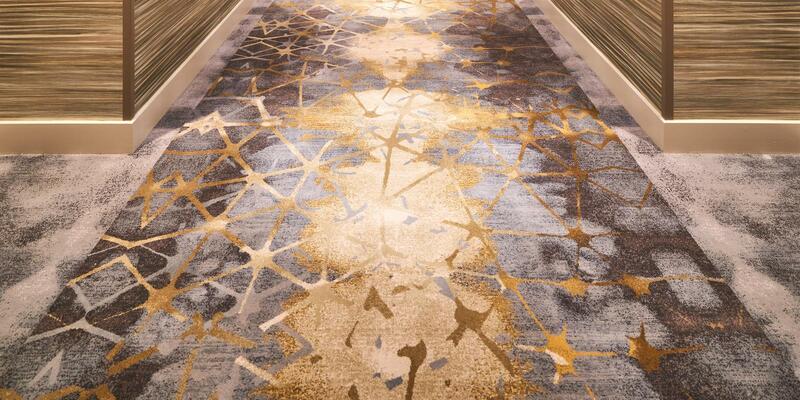 The carpet was one of the first finish items installed and it gave the client early confidence in the final vision. I am thrilled with the finished product!